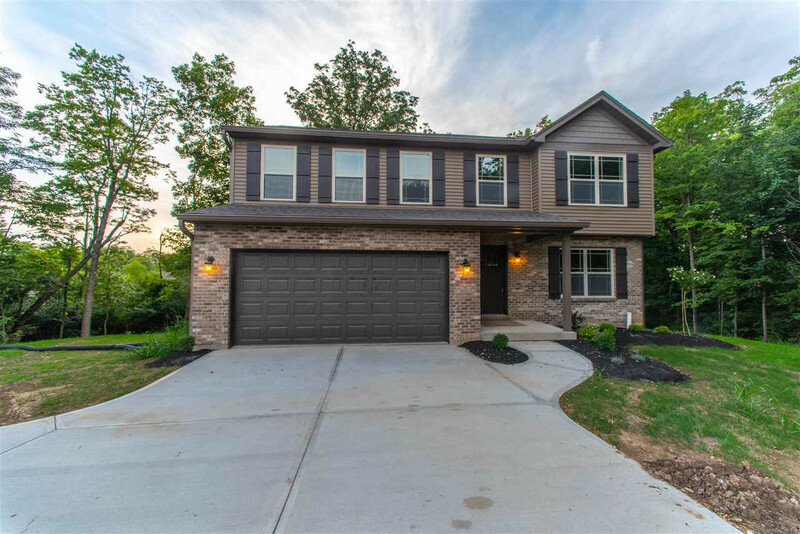 New construction nestled in treed lot! Quality construction including finished lower level and 16x9 wood deck! Equipped kitchen with granite counter tops. Custom vanities with granite tops. Master bath double vanity with walk in shower. Finished lower level with walk out and 9' ceilings! Second floor laundry.